A radiant, confident smile is fundamental to youthful good looks. Over time, your teeth will inevitably age and become discoloured. Coffee, tea, red wine and cigarette smoke can cause yellowness and certain medications can also grey and stain your teeth. 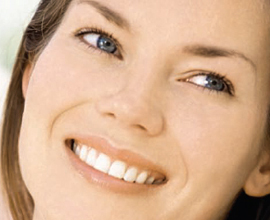 Teeth whitening is an easy and effective way to restore your smile to its natural brilliance. We use the world's leading professional whitening system, BriteSmile™ to whiten your teeth quickly and safely. By combining a gentle, whitening gel with a breakthrough activating "blue light", we are able to whiten teeth by up to eight shades in a single treatment, which typically takes around an hour. We take impressions of your upper and lower teeth, so that our laboratory is able to custom make your whitening trays. We then provide you with whitening gel and easy-to-follow instructions for your home teeth whitening programme. The process is safe, effective and fast with a change possibly seen in as little as 14 days. A consultation is needed prior to each treatment to assess which technique best suits your requirements and any prior dental work required.